Welcome aboard sailing catamaran Adelina - a purpose built luxury charter vessel suitable for up to 47 guests. 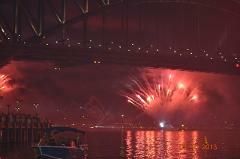 Multiple spacious deck and internal areas make her perfect for New Years Eve celebrations on Sydney Harbour. Welcome aboard the Zane Grey - a dual level catamaran suitable for up to 47 guests. 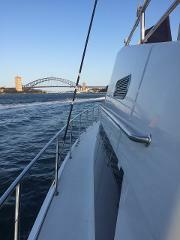 Spacious upper and lower decks, two bathrooms plus a sound system and BBQ make her a great option to celebrate New Years Eve on Sydney Harbour.